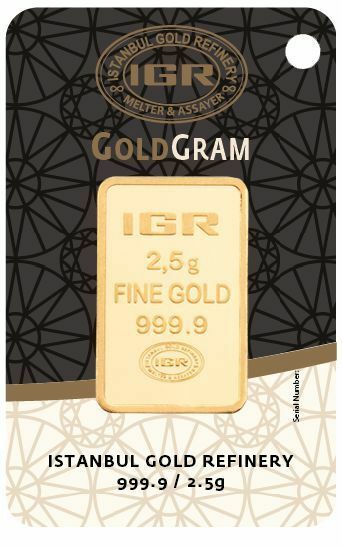 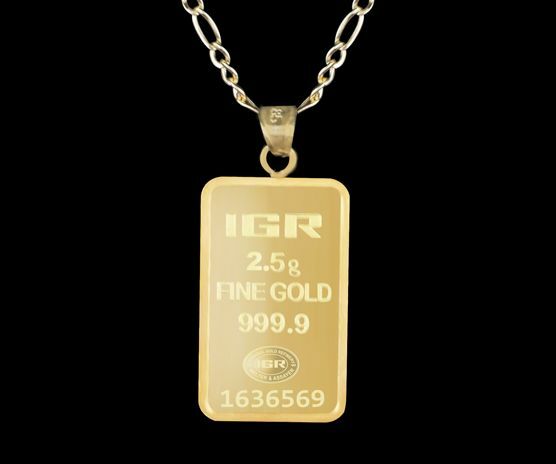 This elegant piece is a unique way to hold and enjoy 99.9% pure gold bullion. 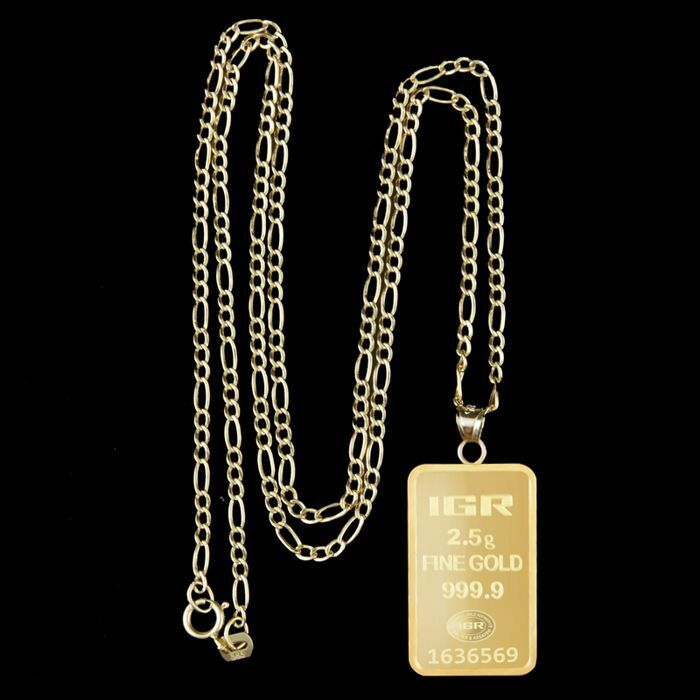 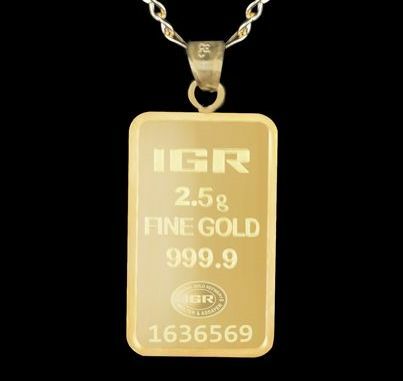 Give the Gold Bar Pendant as a precious gold gift or buy this .999 fine Gold Pendant as a pure gold present for yourself! 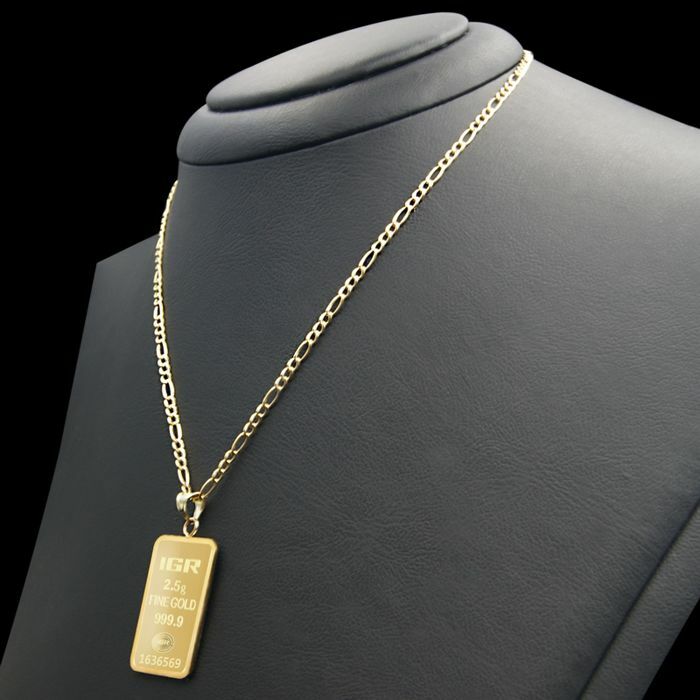 For Valentine's Day, a birthday, Mother's Day, or any other gift-giving occasion.